This 12 track album opens with the thick synth bass and hand-claps of second single Call My Name. This is a sultry number – with Charlotte’s voice rich, purring and somewhat rock-styled. This is a really catchy track, and the chorus sees it at its peak. The song is laden with swooping strings, a wonderful bass, and builds up perfectly with some great vocal harmonies. A brilliant start. This is followed by lead single Crazy Chick which has a wonderful tempo. Again the bass, vocals and the beats give an instantly catchy song. Charlotte’s vocals here are strong, loud and defiant. At times, it reminds me of the sound of Girls Aloud. The brass section set against her soaring vocals, the drums and indie guitars, really gives this song a wonderful sound that unsurprisingly gave her a #2 UK hit. Up next is Moodswings (To Come At Me Like That) this sees the tempo drop, giving us a mid-tempo guitar-led pop song. Again the strings and handclaps are here, joined by keyboards, and they help to sew the whole song together into a really nice song. In places it reminds me a little of Amy Studt. Show A Little Faith follows this, with a little loop of guitars opening the song. Bass and beats take over as Charlotte gets stuck into the first verse. This song sounds a bit like a downtempo All Saints or Sugababes number. It’s laden with strings, gentle beats and wonderful vocal layers. A piano gently leads us into next song Finding My Own Way, the first of two songs co-written with former-Shakespear’s Sister vocalist, Marcella Detroit. The song soon switches to a string/beat/piano/guitar wall of sound, taking a few moments at about 2m 30 to return us to just Charlotte, strings and piano before the rest of the instruments return. Whilst it’s a nice song, it feels very cluttered – with just too many instruments here, resulting in sounding like a song that Michelle McManus might have been offered. For a split moment the Voice Of An Angel returns for some high notes at the start of Let’s Be Alone, before it roars into this fast pop song. This is the first of three tracks co-written with Guy Chambers (who at this time was writing for Robbie Williams). The guitars roar through this as a hard dance beat throbs throughout. The vocal melody gets quite a range, and even the heavenly nod to her former classical career gets further airings throughout this. The end result is kind of catchy. Acoustic guitar and some heavily affected vocals open Easy To Forget – the final co-written track with Marcella, and the first with Rob Davis. This is a fairly slow, delicate, ballad kind of song. There’s lots of backing vocals here alongside the acoustic guitar as the gentle beats lead the bass through the verses. Double-bass and piano sit beside Charlotte’s deeper, moody vocals in this jazzy Fool No More song. This track feels like it’s been borrowed from from 60’s, but it’s actually an original. Charlotte makes light work of the vocals here, retaining the vintage style of the over all production. A great little track. If ever there was a song that could have got her a Bond Theme, then it would be this one. Easy Way Out is up next, and the piano and strings return with Charlotte seemingly picking up another little simple ballad. However, with Take That’s Gary Barlow as a co-writer, it’s inevitable that this could easily transition over to being a Take That song, and is somewhat formulaic as a result. It’s a nice enough song, but again, it does feel like it’s ‘taking the easy way out‘ in a music paint-by-numbers way. Charlotte gets to let her vocals absolutely shine alongside acoustic guitar in the introduction of Casualty Of Love. As she reaches for some very high notes, she’s joined by some very sad strings… and then all of a sudden we’re launched into a Spanish sounding up-beat number that’s absolutely laden with percussion and frantic Spanish guitar. What a tease. The song sounds absolutely wonderful. Guy Chambers is back on co-writing duties here, and the song is a masterpiece – musically and vocally. This is followed by Even God, the third single from the album. A warm wave of strings introduce the song as Charlotte takes the mic. Piano tinkles into the second verse as guitars and stronger strings join in. This gentle little song was co-written by Rick Nowels and Boy George, but it’s probably stronger coming from Charlotte as another nod to her former career. The album closes with Confessional Song, another Guy Chambers track. The song sees her vocals with added sustain, set against acoustic guitar for about 1m 30s before a beat and bass kicks in along with her backing vocals. Again, the strings soar in a duel with her vocals. This song builds wonderfully – musically, vocally and lyrically, and gives the album the perfect ending. Over all, I’ve been really quite surprised by this album. I already knew Crazy Chick and Call My Name (or bits of them) due to the heavy promotion that they both received, but the rest of this album was a mystery. Whilst there are some almost X-Factor winner-esque moments, Charlotte’s strong, rich, and confident voice, and the use of heavier guitar and bass, helps to knock those similarities into insignificance. 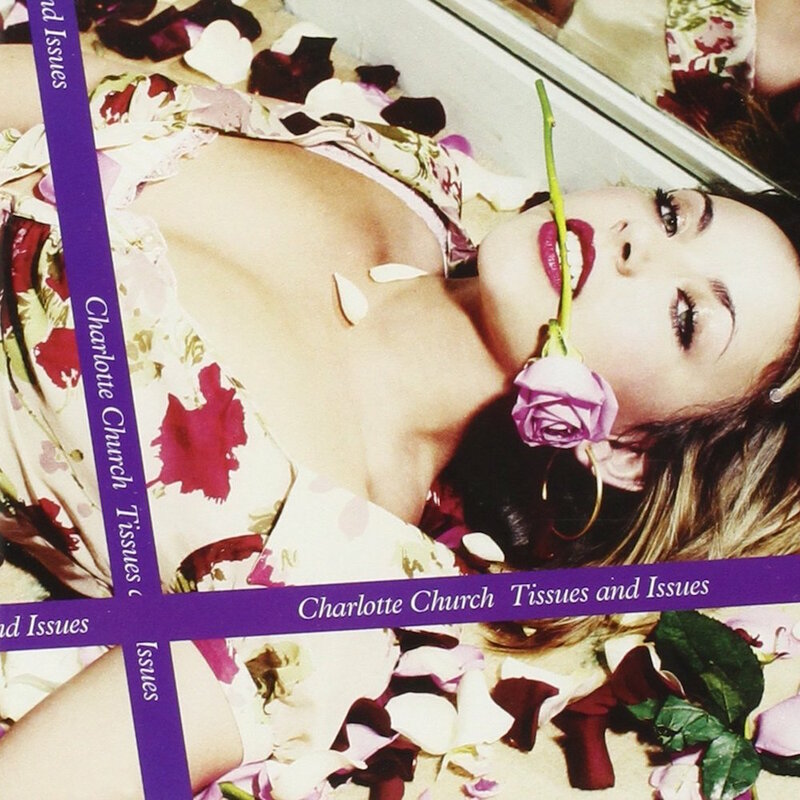 Where is Charlotte Church now? Prior to the release of this album, she’d already released her ‘greatest hits’ from her classical career. As her debut pop album, complete with a new look, she made the transition from godly-gawky-kid into fiery siren with seemingly great ease. Her record deal with Sony ended in 2006, releasing her from a 6 album deal. Despite filling tabloid newspapers and TV screens with her relationship with Gavin Henson, motherhood, and subsequent break up, and television presenting roles, her second album Back To Scratch (2010) failed to repeat the same level of success and stalled at #23 in the UK chart. She provided evidence to the Leveson Inquiry, which highlighted the poor conduct of the media and the intrusion of privacy that she and other public figures had endured over the years. Between 2012 and 2014, she released four EPs (named by their numbers 1-4) that saw her depart from pop and take a more mature alternative rock approach. A fifth EP (Five) is expected. 2005 UK CHART PEAK: #5, certified Platinum. POP RESCUE COST: £1.00 from a Poundland store. Posted in 2000s, Charlotte ChurchTagged 2005, album, Boy George, Call My Name, Crazy Chick, Even God, Gary Barlow, Guy Chambers, Moodswings (To Come At Me Like That), review, Rick Nowels, Rob Davis, Voice of an AngelBookmark the permalink.